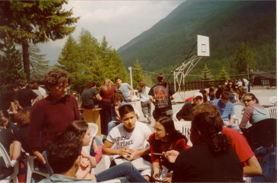 The Mathematics Stage is a “three days” intensive mathematical work with pupils of the first four classes of secondary schools that takes place away from the classroom, in a mountain resort. The initiative aims to enhance and strengthen the excellence in mathematics. 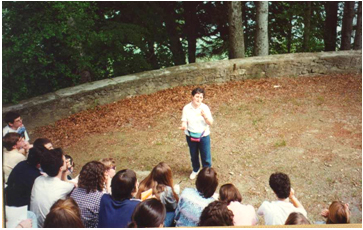 The initiative was born in 1995 from an idea by a group of teachers of the Liceo Galileo Ferraris coordinated by prof. G. Gallino. Given the success of the initiative, it was decided to extend also to other schools. 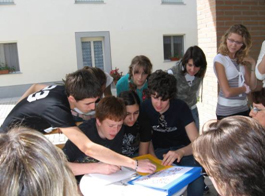 To give a clearer idea of ​​the entity of the initiative is important to remember that the last edition was attended by about 1,500 students from 40 different schools, followed by 120 professors of high school, from 6 teachers from the University of Turin, Department of Mathematics, 20 undergraduates in mathematics teaching to address, from 8 graduates in Mathematics. The teaching coordination is edited by prof. G. Gallino while for the logistics coordination prof. P.L. Pezzini. 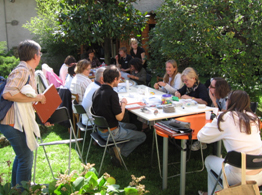 Natural environment Operating Area: students are actually working mostly in open spaces and on occasion found immediately the necessary information to sift through what is proposed to them through concrete experiences. 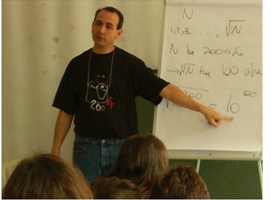 The productive interaction between different energies: the University with some of his teachers and undergraduates to teaching address; teachers and students of the School, in turn everyone with a starring role to illustrate in detail the more complex concepts or to animate the math games, or even to present with unusual mode issues related to various topics. 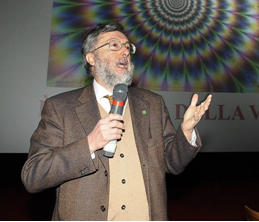 The Spirit of collaboration of a large group of teachers who pool their ideas, who meticulously prepare the various activities of the Stage in numerous meetings that are held on Tuesdays at Palazzo Campana headquarters of the Department of Mathematics. In The work of teachers, often the experience of those who have many years of teaching alongside the effervescence, the imagination, the new younger teachers skills and from this union the best ideas. Unusual content: a mathematical with historical roots but projected to understand applications or issues of great relevance. The Mode of study: a personal search for meaning on a track barely sketched by a working file prepared by the teachers and renewed annually. The Support to the reasoning given by the concrete materials to manipulate and use only occasionally for a pretext of the game, but at other times for a more effective and compelling vision.